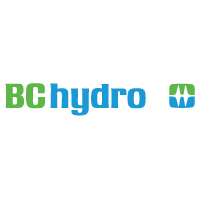 Great news for Canadian BC Hydro business customers. BC Hydro have added DssW Power Manager to their Product Incentive Programme (PIP). As a BC Hydro business customer, you can now purchase DssW Power Manager with an effective rebate of $6 CAD per Mac. This incentive programme is run by BC Hydro to promote the use of energy saving technology. To qualify for BC Hydro's incentive, you must purchase your DssW Power Manager licences through your local DssW Authorised Reseller, Macinhome. For those keeping track, we celebrated this news with homemade chocolate cupcakes. This article was posted in Business, Energy saving, and Power Manager and tagged bc hydro, canada, dssw, incentive, and Power Manager.